Týrsday built a new social wall for the KNHS, with a focus on ease of content sharing and fan engagement with the Olympic riders. The Royal Dutch Equestrian Federation (Koninklijke Nederlandse Hippische Sport Federatie - KNHS) is one of the clients Týrsday launched with back in 2014. 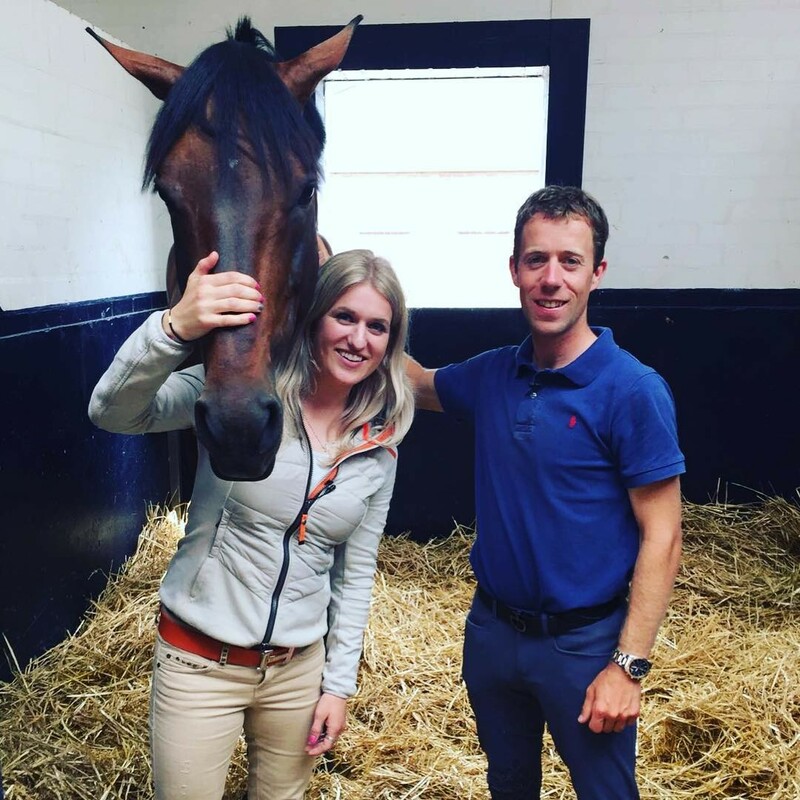 That summer, Týrsday built a platform for the World Equestrian Games in France and created a solid content strategy together with the federation’s main sponsor, Rabobank. The power behind that wall was the involvement of the riders who were extremely generous in creating a lot of behind the scenes content. The willingness to share their experience from up to a few minutes before their rides to right after they got off their horses brought the entire event to life in a way that had never been done before with traditional media. The platform is called Ruiters In Oranje (with the nice RIO acronym), which translates to riders in orange. Orange being the national color of The Netherlands and also pet name/cheering name for many of the Dutch national teams. The KNHS’ ambition is to engage more people with the Olympic riders and expand the “orange feeling” of the equestrian sport. Our aim is to get the Dutch equestrian community to connect with and embrace the riders. Our solution? Step 1: have the riders and KNHS continue to produce content that the community wants to consume. Step 2: Get fans to create and share content themselves thereby plugging into the community. Though there aren’t any sponsors explicitly linked to the wall all sponsors are visible on the platform and can be found in most of the official content. 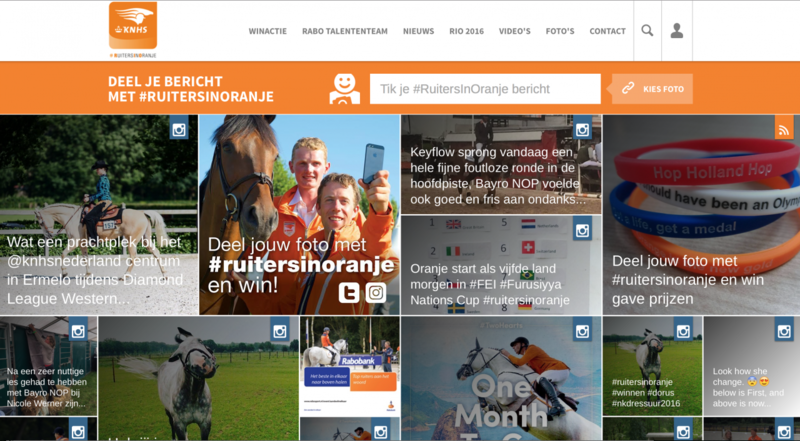 "Our aim is to get the Dutch equestrian community to connect with and embrace the riders"
For the summer of 2016, Týrsday redesigned the social wall and created a few new sources for content to be displayed on this social wall and along with some new tools to easily share your pictures. Social media has changed drastically since 2014 and we had to match this change. Instagram in particular has gone through a meteoric rise and has given the KNHS another outlet to reach its audience. The KNHS is taking charge of this new wall both on- and offline. The wall will be powered by the hashtag #ruitersinoranje which fans and riders can use to create a mosaic of cheers to inspire them on their Road to Rio. Especially for a few events taking place in the Netherlands, the KNHS uses a offline activation: a giant screen with a oranje rider on it, so the fans can take a picture or a selfie with you being a orange rider yourself. The activation offers some nice prizes for the best pictures (like red, white, blue and orange bracelets) and the content is pouring in nicely, even though the platform has just been launched.